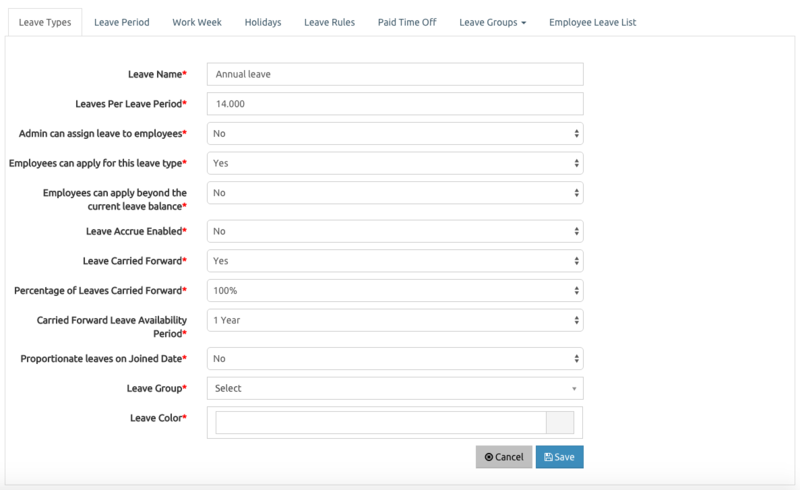 Since I’ve have noticed that its not a trivial task to setup the icehrm leave module initially when moving from another active leave management setup, I’m writing this to walk you through a short tutorial. First task is setting up the leave periods. If you are starting from 2015 you only need to have the 2015 leave period. But creating a leave period for 2016 also should not be an issue. Creating a leave period for 2014 will carry forward what ever the remaining leaves from 2014 to 2015. In that case you have to enter all employee leave details for 2014 manually into IceHrm. 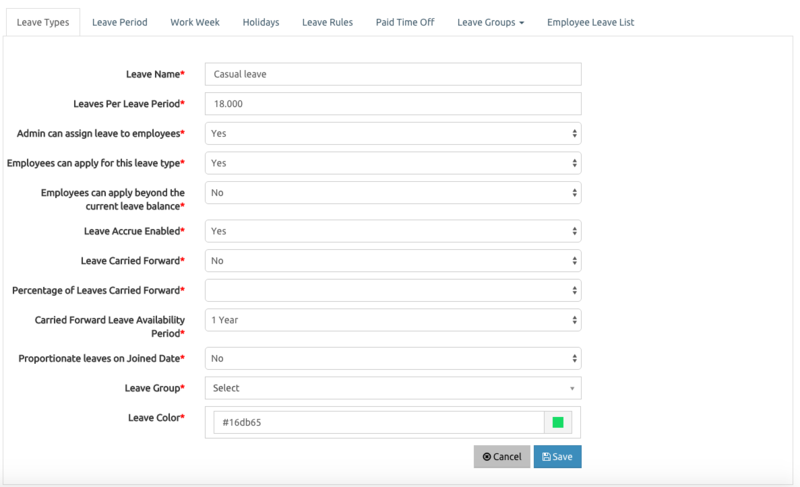 So the preferred way is to not create the previous leave period by adding all leave carried forwarded by employees using PTO (this will be explained in another section). Also note that leave period can have different lengths and can be started from any month of the year. Here I’ve set leave carried forward to ‘Yes’ and carry forward percentage to 100% so all the remaining annual leave of this year will be carried forward to the next. The other problem you will face while adopting icehrm leave management is moving leave balance from previous year in a third party leave management system to icehrm. In order to do this you can use PTO. For an example if Jhon Doe has 3 annual leave days remaining from 2014 (but you are not able to automatically move it to 2015 because you have not been using icehrm in 2015), you can add a PTO days as shown below through “Admin”=>”Leave Settings”=>”PTO”. Let’s assume Jhon Doe joined the company in May 2015 and should not be allowed to take only a pat of leave count defined for 2015. Then for annual leave definition under “Admin”=>”Leave Settings”=>”Leave Types” you can edit Annual Leave and make "Proportionate leaves on Joined Date" = "Yes"